The Annual Business Meeting: how important it is! New and long time members, I want to remind you of the importance of your presence within the Organization of Women Architects and Design Professionals. Each year, members of OWADP get together to talk about the important issues in the organization. The Annual Business Meeting is the one time where we all gather to vote on things we want to happen - add, change or keep the same. We talk about the budget and the ‘pod’ committees for the upcoming year. And, we elect new Steering Committee members for the next term. Make sure your voice as a member is represented within the organization moving forward. Each active member has a voice and each person represents one vote. It is important that you attend because we want to hear what you have to say. Each year, we will send out an email ten days prior to the Annual Business Meeting about what will be discussed, similar to a meeting agenda. If you have something you want to discuss of if you want to be on the Steering Committee, please contact a Steering Committee member before Sunday, October 6th, so we can add it to the agenda of items to discuss. The sooner the better. If you cannot attend, but still want your voice to be heard, you may contact a Steering Committee Member and tell them what your wishes are. We will make sure to bring it up and discuss it with the members. This year’s Annual Business Meeting will be on Tuesday, October 22nd, from 6 - 8PM at Cafe Pazzo in the San Francisco Design Center (2 Henry Adams Street, SF, CA 94103). I hope to see you all there and thank you for reading my article. Carolyne Orazi earned her Bachelor’s degree in Landscape Architecture from the University of Washington’s School of Architecture and Urban Planning in 2006 in conjunction with a two-year certificate program in Restoration Ecology from the University’s College of Forestry. She is currently working for Jay Thayer Landscape Architects on high-end residential projects in the Bay Area. After school Carolyne moved back to her home in the Bay Area where she worked for a commercial landscape architecture firm on urban infill projects until 2008. In 2009, she moved to England and worked with the non-profit plant conservation organisation Botanic Gardens Conservation International at the Royal Botanic Gardens at Kew in London. Most recently she has completed the Bay Friendly Landscape training and is a Bay Friendly Qualified Professional. She sits on the Board of American Society of Landscape Architects Northern California Chapter and has been an OWA member since 2008. 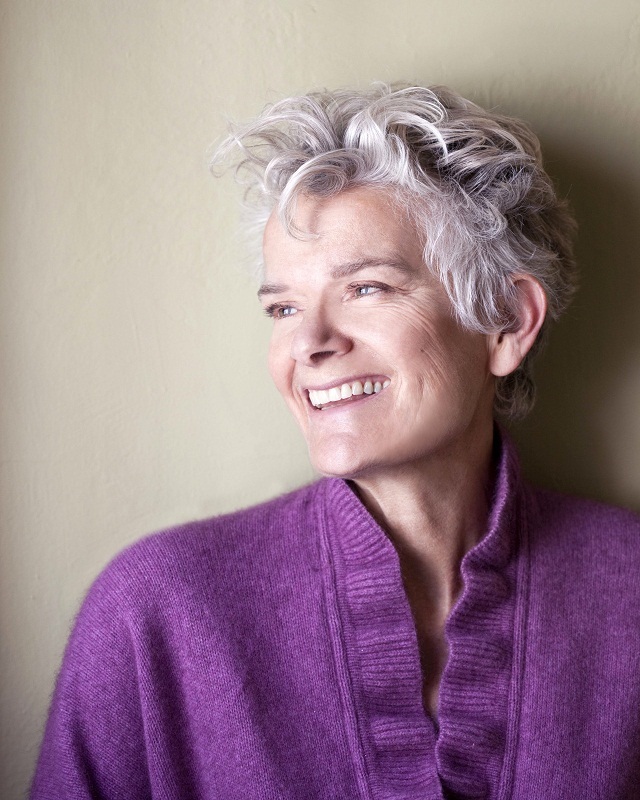 She has authored several articles on landscape architecture for the OWA, ASLA, and The Gab Report. Lucia Bogatay graduated from Wellesley College with a degree in History of Art, and received her Master of Architecture degree from the Harvard Graduate School of Design in 1969. She is registered in California, and has practiced here since graduation founding her own firm in 1979. Her interest in preservation began with work on adaptive reuse projects. During four years as a member of the San Francisco Landmarks Preservation Advisory Board, Bogatay reviewed countless projects for their conformance with San Francisco's preservation ordinance and the Secretary of the Interior's Guidelines for Historic Preservation. Since 1994, she has evaluated and provided written critiques of projects undertaken by the Park Service, and the Presidio Trust, participating actively in their NEPA and NHPA compliance efforts, As a member of the Board for the Presidio Historical Association she designed a history museum alternative to the proposed art museum for the Main Post, and commented on numerous other undertakings in the Presidio. She has participated on various committees and non profit boards, served on juries, written articles and made numerous presentations, and received awards for projects. She currently serves on the board of the Mission Dolores Neighborhood Association, and is on the Boards of Presidio Historical Association, and the Community Music Center, both in San Francisco, and was formerly on the board of the Long Beach Opera. Her architectural practice is small, and her interest in making pottery is on the rise. Her primary purpose in joining the OWA Steering Committee is to contribute whatever she can to an organization she helped to found and to get to know a new generation of talented women. I have recently completed my Bachelor of Interior Design from the University of Montreal in Canada. My interests and expertise are in hospitality, commercial, corporate and residential design. Prior to attending design school, I also received a Bachelor of French Language from Concordia University in Canada. After moving to the Bay Area in summer 2013, I joined OWA and began to learn more about this organization and its activities. During the OWA retreat in September 2013, I had the opportunity to meet many members of the organization and learn more about OWA goals. As a new college graduate, I enjoyed very much the experience of communicating with senior women architects and designers and also making friends with young members of OWA. Therefore, I decided to become more involved with OWA events. I heard about the steering committee in the retreat and would like to serve on this committee as of February 2014 in order to contribute towards the organisation's goal to support women both in their personal and professional life. 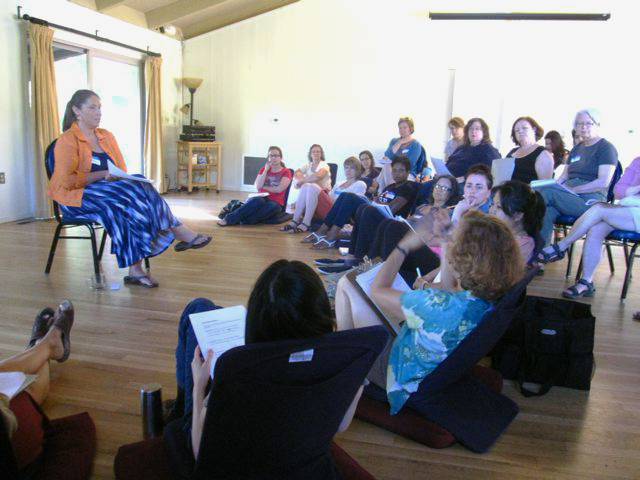 This year’s retreat was my first ever event with OWA...I was strongly encouraged by Eliza Hart to attend. After spending roughly 24 hours with over 30 other woman architects/designers; I knew this was an organization that I felt comfortable in and could see the potential networking, professional friendships and over all good time that could be had by being involved with the organization. On Saturday evening when the call went out for volunteers to serve on the steering committee; I made my decision to join up based on the woman currently serving on the Committee that would be staying on, and also based on the other woman volunteering to fill open slots. With two openings left, I raised my hand; with a special interest in taking over the newsletter. By being on the Steering Committee I imagine I will have an accelerated entry into the Organization and form a quick bond with the other Committee members. With a diverse cross section of backgrounds and experiences, I want to keep the organization relevant to us all and strengthen and secure membership of emerging professionals. I sincerely am excited about serving the organization members; I look forwards to the next two years as a member of OWA and the added honor of serving on the Steering Committee. I grew up in the east bay before moving to southern California for college. Some of my design interests include; education, urban design, environmental psychology, sustainability and transportation. A few hobbies outside of architecture include; art, photography, travel, and running. As an undergrad I attended the University of California Irvine, earning two bachelors degrees in Environmental Analysis and Design, and Psychology. After graduating from UCI I attended the University of Oregon where I earned a Master of Architecture degree. I moved to China in April 2012 to take a job with an architecture firm in Beijing. After a year in China I moved back to the Bay Area and have been working at an environmental graphics firm since June. Soon after I moved back I joined the OWA because I was very eager to make some new social connections after being away for a year and because I wanted to participate in the mentoring program. I attended the mentoring event hoping to come away with some advice and guidance on navigating my career in a tough economy and transitioning back to the US job market. I came away from the event with so much more than that; I felt incredibly inspired and uplifted after meeting and speaking with the amazing, accomplished women who attended the mentoring event and later, the OWA Retreat. In the short time I have been an OWA member I have felt so welcome, and buoyed by the open and inclusive spirit of the OWA. As a steering committee member one of my goals would be to support increased membership and participation from students and emerging professionals so that other women just starting out in their careers can benefit from the same support that I have experienced as an OWA member. I strongly believe in the importance of the OWA’s mission and the support it offers our community. I would be honored to have the opportunity to give back to this incredible organization, by serving on the steering committee. I have an MS in Ecology and my interest and expertise is in urban design, sustainability and local government land use policy. My involvement in the design and development of Village Homes in the late seventies, still a model for sustainable development, led me to found and serve as executive director of the Local Government Commission. The Commission's Ahwahnee Principles for more livable, resource-efficient communities serve as the framework for educating local elected officials about better land use policy. Several well-known architects assisted the drafting of the Principles including Andres Duany, Liz Platter--Zyberk, and Peter Calthorpe, and we have gone on to inspire the national "Smart Growth" and New Urbanist movements. I am fascinated by architecture and architects, a result of my involvement in the architectural education of my husband and my son. My own degree is a Masters in Human Ecology. I have received two national awards for my work from the American Planning Association - but I don't have a planning degree either. I tend to follow the road less traveled! I am cutting back my responsibilities with the Local Government Commission and looking to expand my circle of friends and learn and do new things. This has drawn me back to my fascination with architects and architecture. OWA members are an inspiring group of women who have also taken the road less traveled and overcome great obstacles to pursue your dreams. You are a fascinating group with whom I would like to become more engaged. While I live in Davis, my daughter lives in Berkeley, and I already spend a lot of time in the Bay Area. Attending OWA meetings would be both convenient and a pleasure. One of the things that came out of the retreat this year was a request for a Job Opportunity board on the forum. We all occasionally hear of opportunities that come our way and we like to help out each other. Its just part of the camaraderie that is our organization – diverse experience and backgrounds. So, if you hear of any opportunities or would like to post your own, please post them to the Job Opportunities page on the OWA Forum which is visible by members only. Make sure to include the date you posted and when the opportunity is open, a brief (or long) description and who to contact. If you would like to receive updates from the forum posts, you must click on the Notify Me at the top of the forum post. At the 2013 retreat celebrating the 40th anniversary of OWA, members showcased their professional achievements and set goals for the coming ten years. After the customary short presentations by all retreat participants on Friday night, on Saturday we listened to twenty longer talks on specific issues related to women in architecture. In some cases, a lively discussion followed. I could not help thinking that this open cherishing of so many proud achievements should be captured in a more permanent form. Thus, I urged OWA members to donate documents of their work to the International Archive of Women in Architecture (IAWA) at Virginia Tech in Blacksburg, VA. Many OWA members have heard my plea for donating drawings and other documents to the IAWA before this event but this time was a little different because I myself had just sent six large boxes of files from my research of early women architects to IAWA. Now I know firsthand of the emotional difficulty of letting go of something that is dear to one’s heart. However, I felt that it was an important and necessary thing to do as I have heard many stories about drawings and files being destroyed by the children or executers of a deceased woman architect. They often did not know what to do with the records. One of the horror stories is that of a prominent woman architect in San Francisco who had all her drawings destroyed when she found out that she had terminal cancer. Please do not follow this sad example, honor your professional legacy, fill a gap in architectural history, and proudly promote yourself by donating records of your work to the IAWA or any other archive such as the Environmental Design Archives at UCB or at your alma mater. At the IAWA you will be in the good company of women who reviewed their work and selected projects for donation. See the list of California architects who already donated documents to the IAWA at the end of this article. Or visit here, and you will see a display of truly international colleagues. Please download the attached PDF document for further information here. 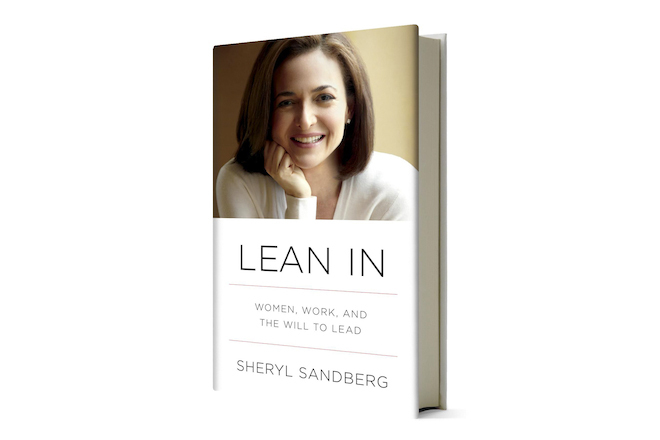 Event, November 7: A discussion of Lean In; Women Work and the Will to Lead. This event will be held at 6 PM at Hamilton and Aitken Architects, 525 Brannan Street, Ste 400, San Francisco, CA 94107. For more information and a map, please download the attached pdf. Galen Cranz is Professor of Architecture at the University of California at Berkeley, a Ph.D. sociologist from the University of Chicago, and a certified teacher of the Alexander Technique. She teaches social and cultural approaches to architecture and urban design. Emphasizing ethnography as a research method, she brings users' as well as creators' perspectives to our understanding of built environments and includes the point of view of different American cultures. In 2011 she received the Career Award, the highest award of the Environmental Design Research Association (EDRA). Her creative work includes research and writing about urban parks, sustainability, body conscious design, housing for the elderly, and the sociology of taste in environmental design. She is the author of The Politics of Park Design: A History of Urban Parks in America, (MIT 1982) and has since published a major article, “Defining the Sustainable Park: A Fifth Model of Urban Parks” in Landscape Journal (2004). She is a frequent lecturer about urban parks and juror for park design competitions. As a designer she has been part of significant park design competition teams for Spectacle Island, Boston Inner Harbor; Olympia Fields, Chicago; Tschumi's Parc de LaVillette in Paris, and lead designer for and winner of the St. Paul Cityscape competition of 1984. She holds two US patents for body conscious bathtub and chair designs. In 2005-2007 she designed and built a residence for the elderly following universal design principles. Also a swimmer, her Alexander certification was with Tom Lemens of New York; she currently studies vision (EyeBody) with Peter Grunwald of New Zealand and Body-Mind Centering with Bonnie Bainbridge Cohen in California. Galen Cranz, “Somatics and Aesthetics: The Role of the Body in Design,” in Ritu Bhatt, Ed., Rethinking Aesthetics: The Role of the Body in Design (Routledge, New York: 2013) pp. 143-157. This chapter applies 3 decades of experience with a mind-body practice called the Alexander Technique to design, broadly defined. Galen Cranz, “How Post-Occupancy Evaluation Research Affected Design and Policy at the San Francisco Pubic Library,” Journal of Architecture and Planning Research 30:1 (Spring, 2013). POEs are relatively rare in practice, but even rarer is any investigation of how decision makers actually use POEs. This article is unusual because it describes how a POE (by architect Cynthia Ripley) of the 1995 New Main Library in SF was used to prioritize remodeling these last 18 years. Galen Cranz, book review of Anne Massey, Chair. Reaktion Books, London, 2011, 224 pages, in Journal of Design History 2013; doi: 10.1093/jdh/ept023 (Oxford University Press, 2013) First published online: August 2, 2013. The book was disappointing despite some good points, but as the author of The Chair: Rethinking Culture, Body and Design (Norton, prbk 2000) I'm going to be demanding, no? The new Brower Center in Berkeley has numerous "green" features, and the mission of the organization is to communicate sustainability. This article reports on empirical research I did with graduate students and undergraduates about which features are are actually noticed by users. A shared language of green has a ways to go! M Southworth, G Cranz, G Lindsay, L Morhayim –“People in the Design of Urban Places,” Journal of Urban Design, 2012. This is our introduction to a set of papers from the "Death and Life of Social Factors" Conference May 2011 at UC Berkeley that we edited for a special issue of JUD. Galen Cranz, “Siege social?” Mathias Leboeuf, Ed. Plages Philo (Editions Tallandier Paris: 2012), pp 179-182. Cranz quoted and cited in Hosey, Lance, The Shape of Green (Island Press, 2012), pp. 46, 111-112. Colleagues Gail Brager and Susan Ubbelohde were also cited in this manifesto about the "look" of green. My contributions focused on the links between users and bodies and ecological aesthetics. Eleftherios Pavlides and Galen Cranz, "Ethnographic Methods in Support of Architectural Practice”, pp 299-310 in: Shauna Mallory-Hill, Wolfgang P.E. Preiser, Christopher G. Watson (Ed.) Enhancing Building and Environmental Performance. 2012. Wiley-Blackwell. A new term for POE is assessing building performance, and by any name, my co-author from Roger Williams University and I believe that qualitative methods are especially suited to architectural assessment. I've been teaching ethnography research in architecture for the last 40 years, so it was nice to get into this new collection of methodological approaches edited by leaders in the field.